Elaine took me to a new place for food today. 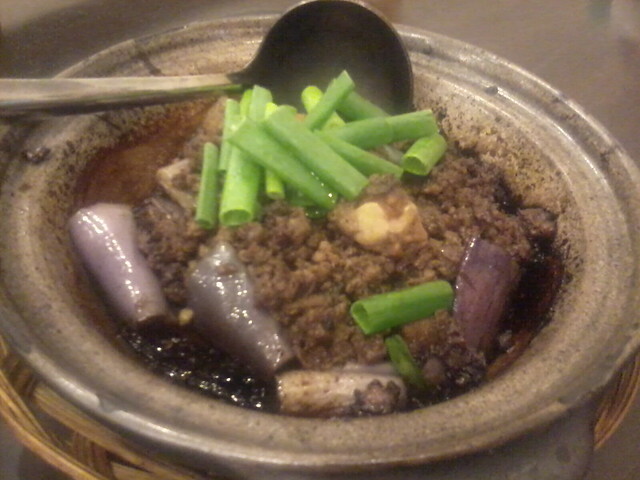 After watching The Loan Shark, we headed to a place with claypots. The dishes that we ordered or what Alfred ordered for us. 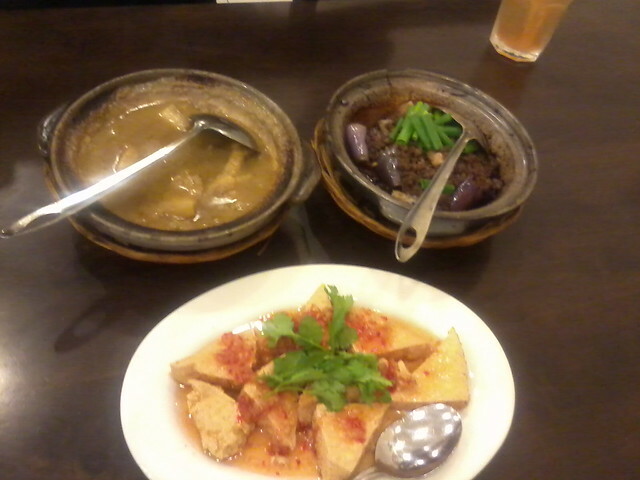 From the top left: Claypot 'Hong Bak' Pork (Nyonya style), Brinjal with minced meat and Thai style tofu. 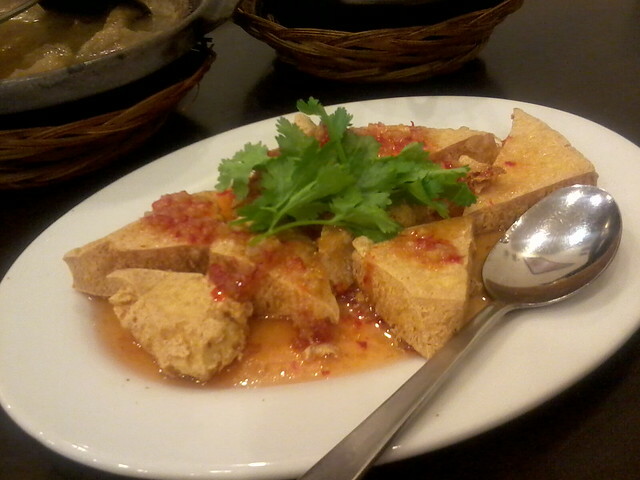 It tasted like the usual Thai style tofu from other places. This one is special. I had so much potatoes and I thought they put a little too much potatoes. I later found out Alfred and Elaine didn't manage to eat the potatoes. Oops! My favourite! 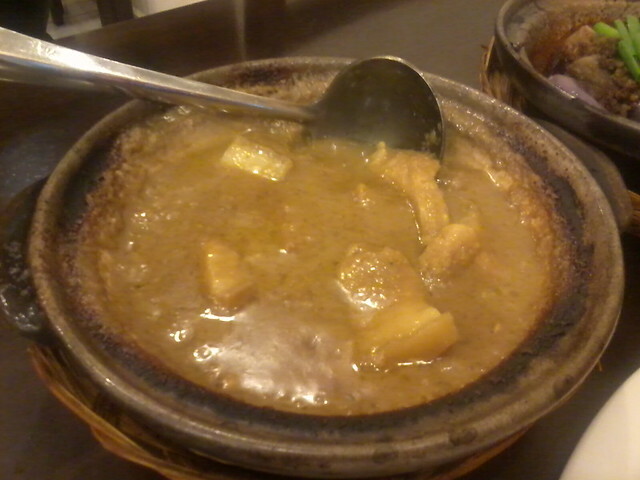 Quite delicious and it reminded me of Poh San's cooking. Take a look at this car! Why are you not orange in colour????? yummy! yummy! my saliva coming out already. why you did not order orange juice and ice-cream orange flavour? You're right. That car you've shown here would've been hotter if it was painted orange. That would definitely catch people's attention when you drive it through a busy street.